Caviteclad Thermashell is an exterior insulation cladding and finishing system (EIFS) which incorporates the latest in both thermal insulation and cavity based cladding technology to provide a lightweight, cost effective, plastered exterior cladding for residential and light commercial construction. The Thermashell System is based on a 75mm substrate of Neopor®, graphite composite EPS which offers far higher insulating properties than typical EPS based claddings. This simple fact ensures the Thermashell system will greatly reduce the ongoing costs associated with the energy used to heat or cool your dwelling throughout its entire life cycle. 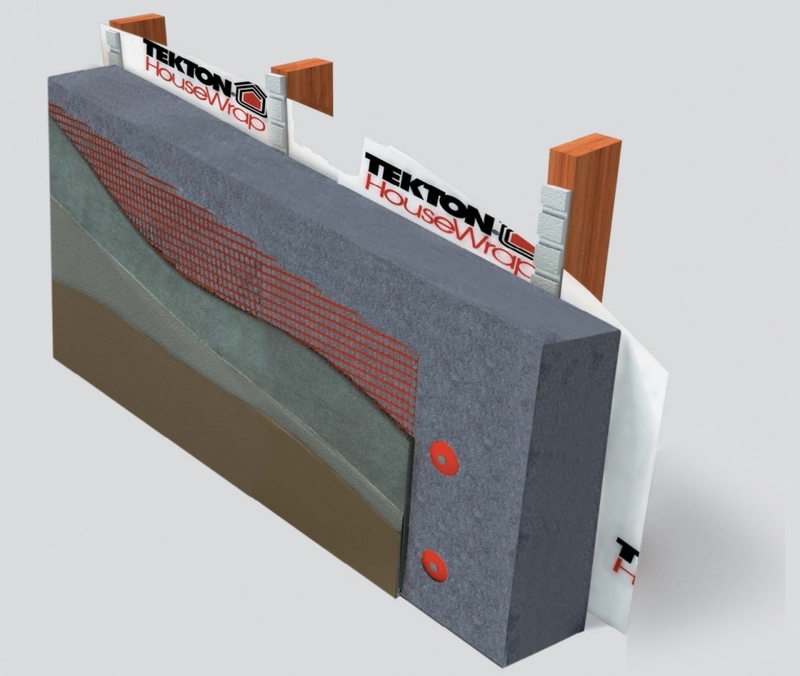 The Caviteclad Thermashell system incorporates a BRANZ (Building Research Association of New Zealand) tested and appraised primary and secondary means of weather defence against water penetration by separating the cladding from the external wall framing with a nominal 20mm drained cavity. This ensures the dwelling will comply with the latest requirements of the New Zealand Building Code and that the system will have long lasting durability in New Zealand’s most extreme weather conditions. This System carries a Specialized Construction Products 15 year Performance Guarantee, and a 5 year Workmanship Guarantee from your LBP Registered Plasterer.